Punteado, a genuine silver .925 Harmony ball, a chime ball for pregnant women. Created for future mothers, PUNTEADO Harmony ball is a jewel worn as a pendant on the belly of the pregnant woman. A silver .925 Harmony ball is a distinguished jewel to offer pregnant women. 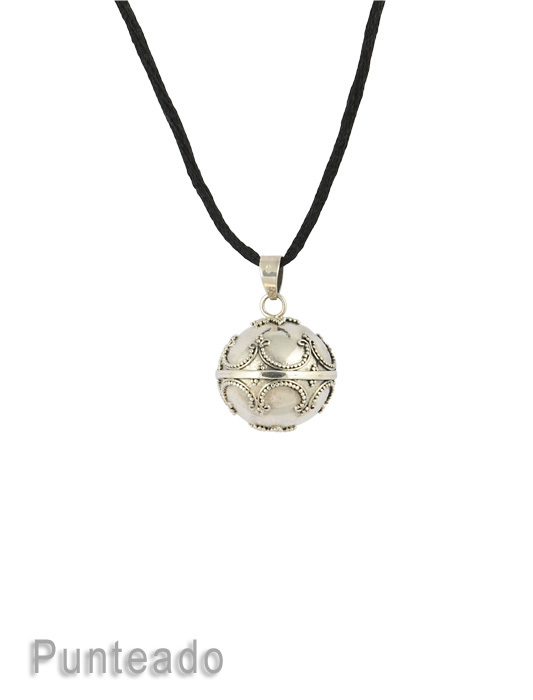 The unique bola necklace that will remain forever synonymous with your pregnancy. The magic little sound of the chime ball will rock and calm your baby throughout and after your pregnancy. A unique gift for moms to be. Every Harmony ball is handmade by Indonesian craftsmen.